Liver Life Walk is the national fundraising walk of the American Liver Foundation and the largest fundraising and awareness event related to liver health in the United States. 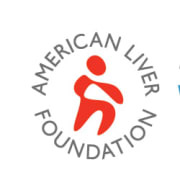 Liver Life Walk Cincinnati will be held on Saturday, June 8th at Sawyer Point in the Purple People Bridge tunnels. We need volunteers to assist with our walker registration, raffle, refreshments stations, Team T-shirt Contest, walk course guides, and more. Most volunteer positions are standing only. Volunteers are needed from 7:30 a.m. - 11:30 a.m. and they must commit to the full shift. T-shirts and refreshments are provided.